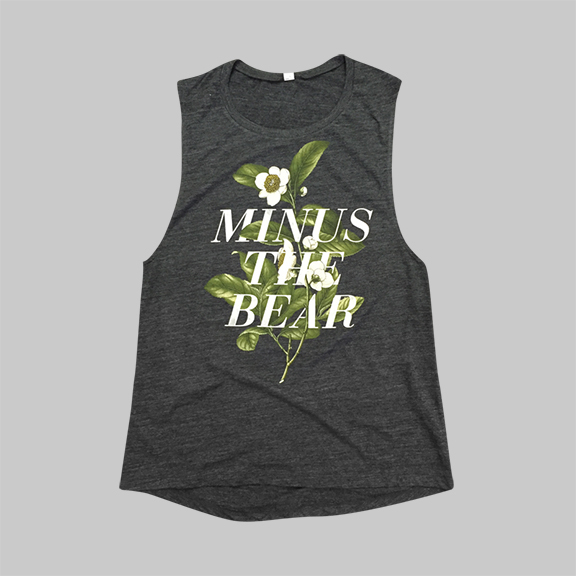 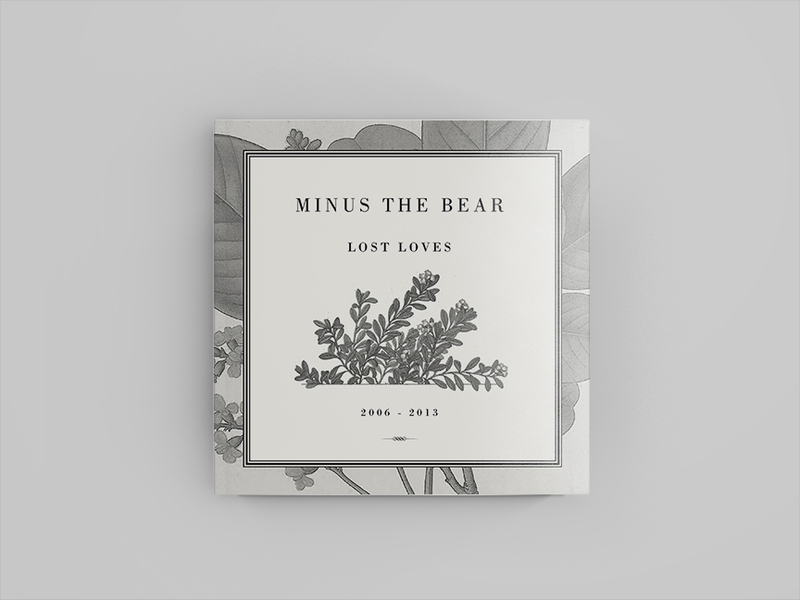 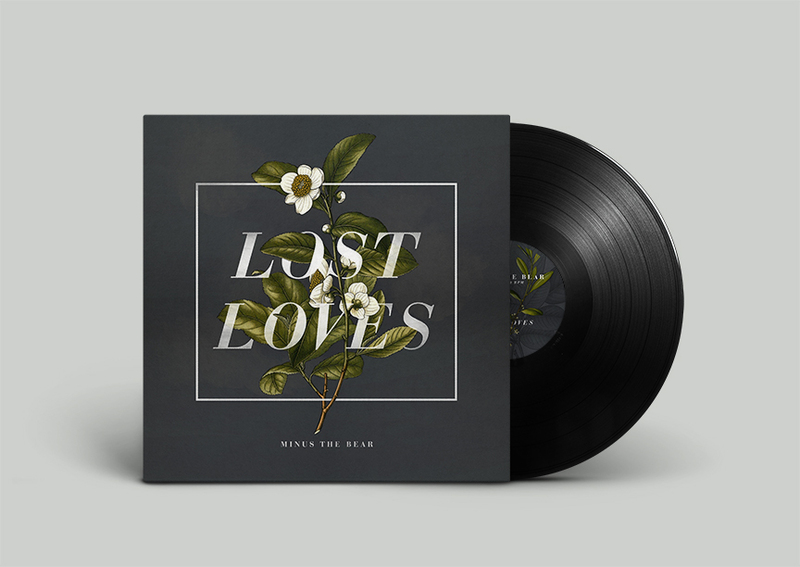 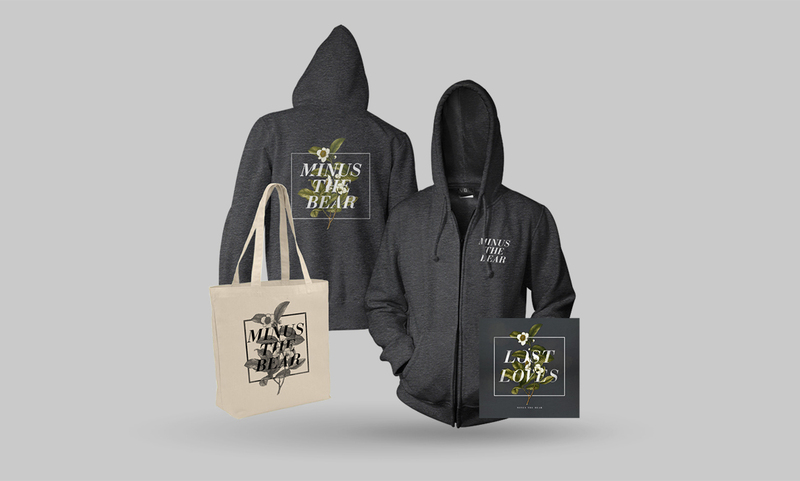 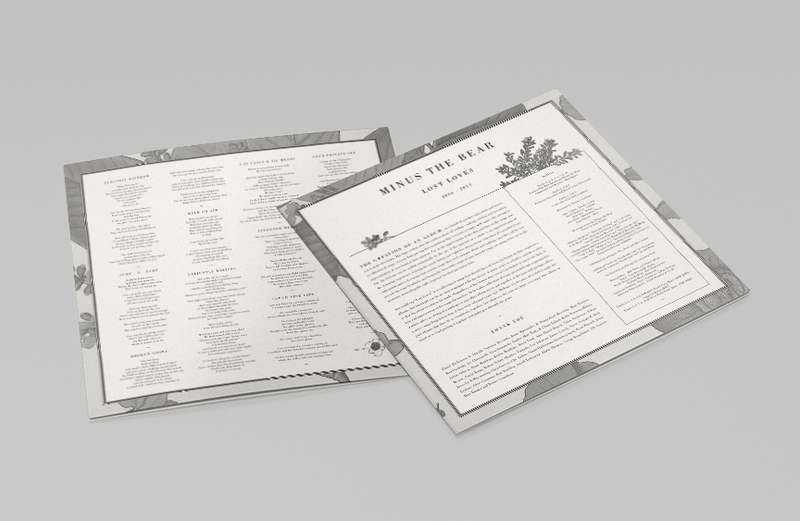 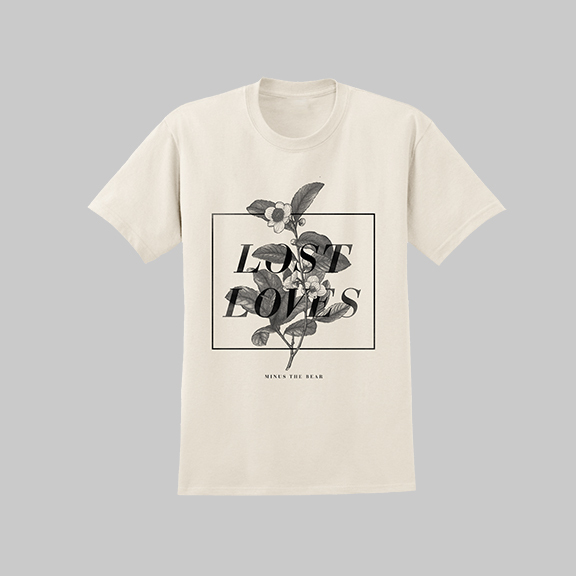 “Lost Loves” is a 2014 album release by Minus the Bear that features unreleased songs from their previous albums. 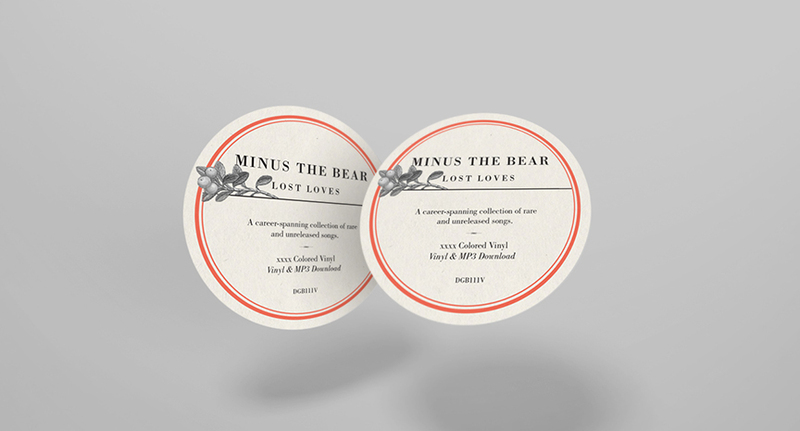 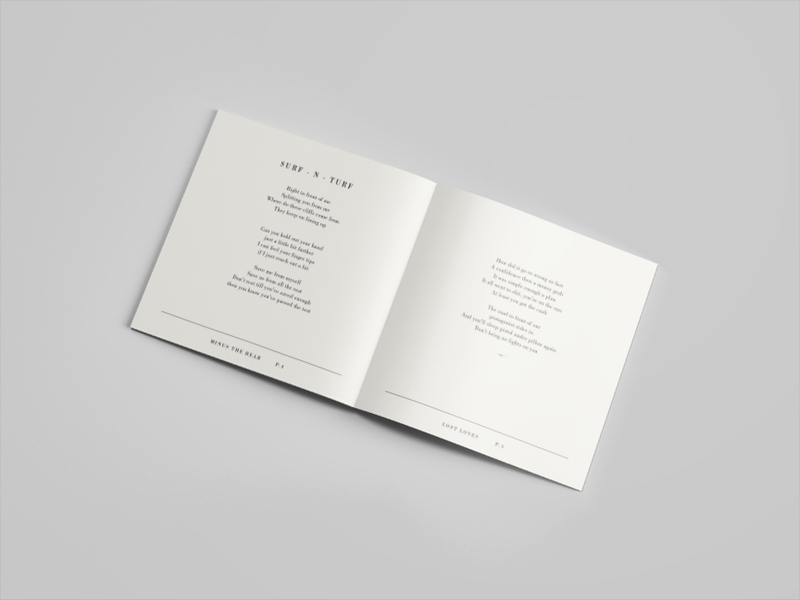 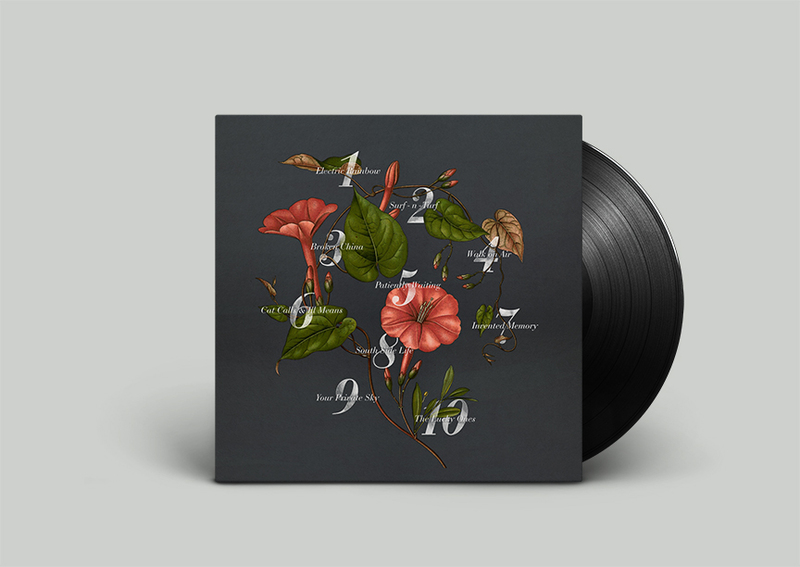 I wanted to make the packaging as a whole look like it was made as a classic eulogy for those forgotten and loved songs. 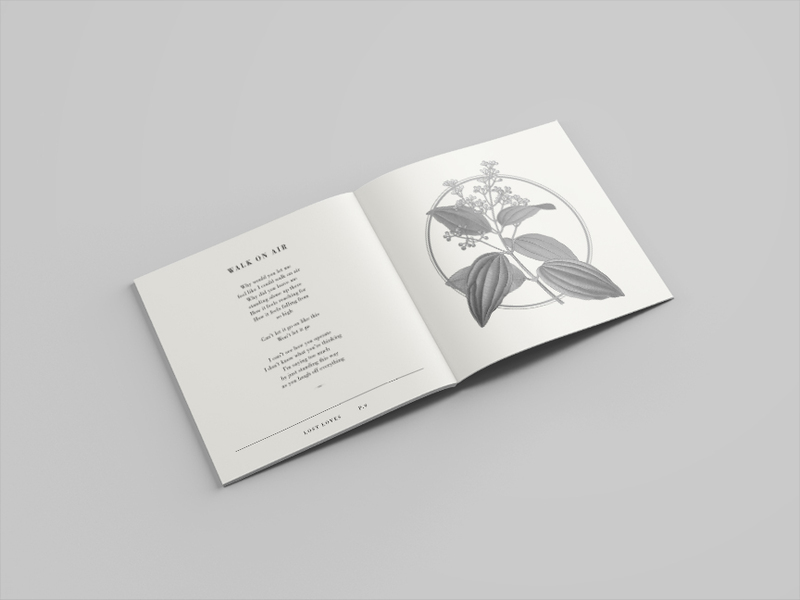 I used vintage public domain illustrations to accompany the typography and page layouts.